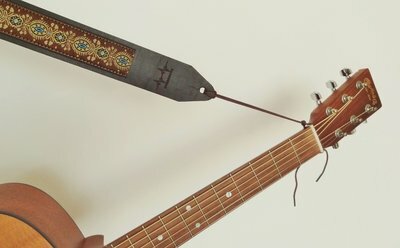 A Waxed brown lace when your acoustic guitar only has one pin to hold your strap. The wax finish offers great grip for the knots, so all you have to worry about is playing! A Waxed brown lace when your acoustic guitar only has one pin to hold your strap. The lace is 75cm / 29inch. The wax finish offers great grip for the knots, so all you have to worry about is playing!